The Perpetual Missionary Foundation (TPMF) provides financial support to the Church of Jesus Christ of Latter-day Saints increasing the frequency or accelerating the timing of missionary, educational, humanitarian or other Church directed service programs throughout the world. The Foundation is a North Carolina based, tax-exempt 501 (c) (3) corporation established in 2010. The Foundation provides funds exclusively to the Church of Jesus Christ of Latter-days Saints in the form of grants to local Church units. 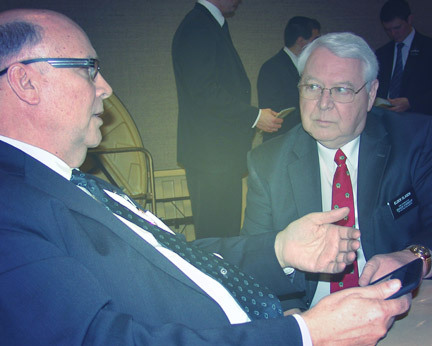 Once the grants are contributed to the Church, they become Church property to be used as the Church directs to accomplish its objectives worldwide. The Church of Jesus Christ of Latter-day Saints is the only eligible recipient organization. While broadly chartered, the Foundation’s emphasis is on supporting missionary activities from local Church units. The Foundation assists and enables individuals and couples to serve where and when they are needed, to serve when their health is optimal, to serve while they are waiting for retirement income or while they are waiting for an asset to sell. A missionary’s personal funds may not be channeled through the foundation prior to or during their missionary service to pay for their own expenses. Missionaries are expected to pay what expenses they can directly from their own funds prior to receiving Church assistance from local congregations. The perpetual nature of the Foundation enables missionary couples and their extended families to contribute to the Foundation long after the couple’s mission service – essentially enabling them to providing for the full cost of their mission service over time. Donations to the Foundation may also be provided for in wills and estate plans. The missionary’s family and friends may contribute to the Foundation before, during or after mission service to support the Foundation’s efforts. While contributions are anticipated to assist the Foundation to become truly perpetual, donations to the Foundation are not mandatory or contractual in any way. Any contributions to the Foundation or grants from the Foundation to the Church are not refundable.